Are you preparing for finals? Time is running out! 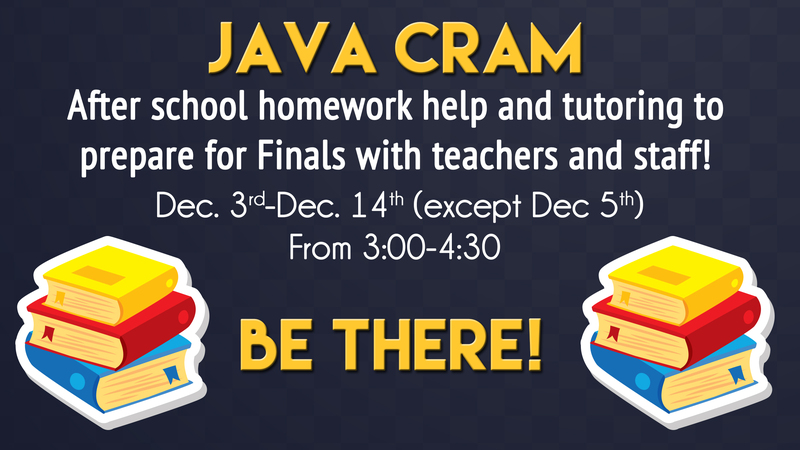 JAVA CRAM sessions will be held for the next two weeks so you can get extra help from teachers to prepare you for your finals.